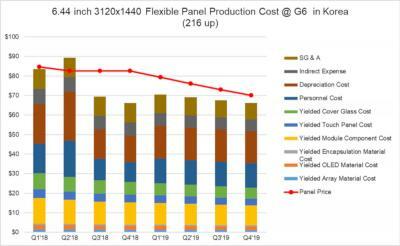 DSCC released its latest forecast for the foldable OLED market. According to DSCC 1.65 million foldable OLED panels will ship in 2019 - which will grow to 60 million panels in 2022 and just over 80 million panels in 2023. DSCC says that foldable devices should "inevitably succeed" as device makers see these devices as a way to boost high-end smartphone revenues as this market has plateaued. 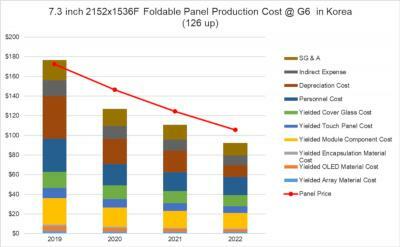 DSCC says that the forecast may be even cautious - although if we compare to DSCC's previous foldable OLED estimates released at the end of 2018, they have lowered their predictions slightly. 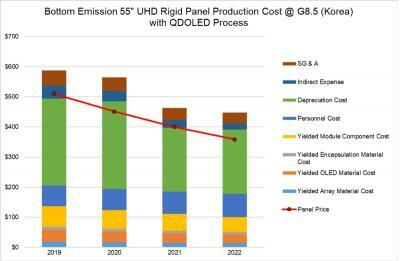 DSCC has updated its OLED market forecast for 2019, and the company now expects OLED revenues to reach $28.6 billion (up from $26.5 billion in 2018 - but lower than DSCC's previous estimate). 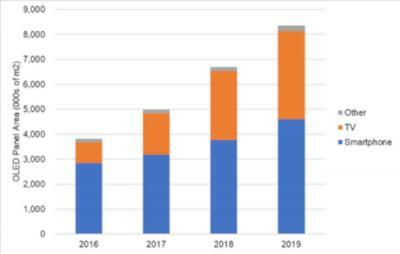 In terms of area shipments, 2019 will see a 25% increase compared to 2018, with strong growth in both the TV and smartphone market. Looking at OLED applications, TVs will have a market share of 42% in terms of area production, but only 9% in terms of revenues. 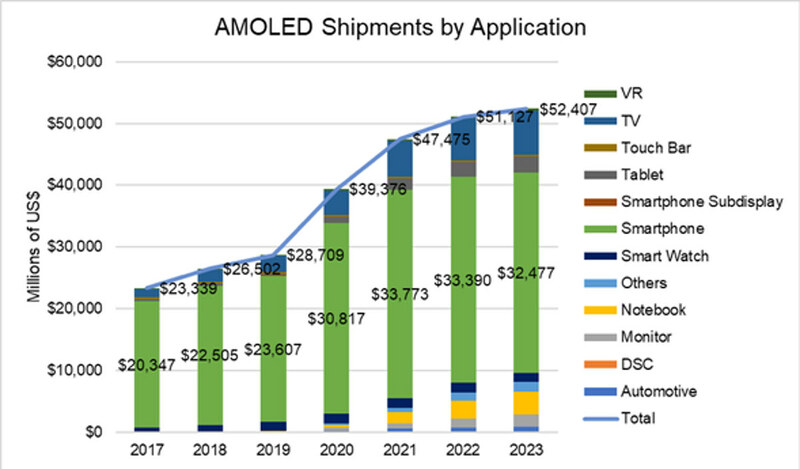 All OLED production will reach 572 million units, growing by 16% compared to 2018. 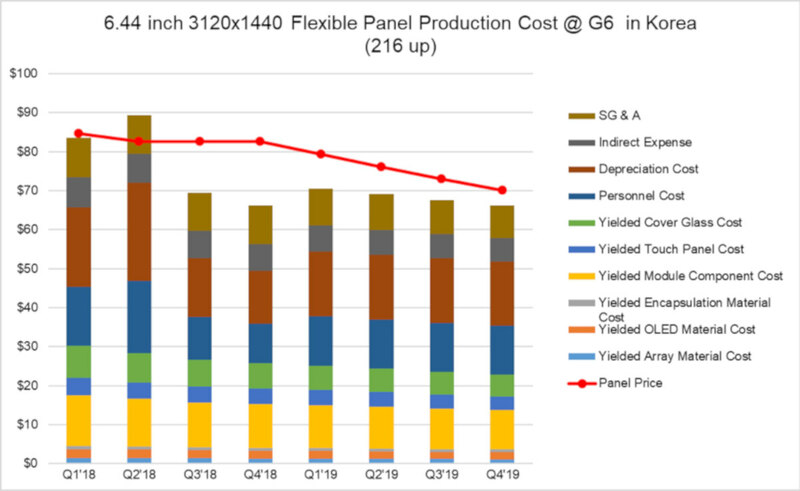 DSCC says that in January 2019 flexible OLED utilization rates dropped to 39% - due to seasonal weakness and Apple's slow iPhone sales. 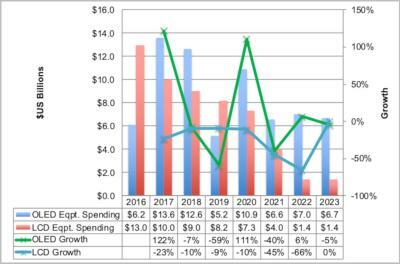 CLSA says that February will another bad month and utilization rates will even drop slightly to 37%. 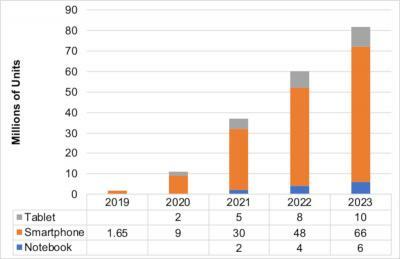 In March things will improve to almost 50% - following the launch of Samsung's Galaxy S10. 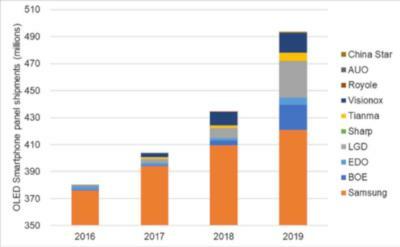 Looking at the entire quarter, DSCC sees utilization rates dropping from 68% in Q4 2018 to 41% in Q1 2019. 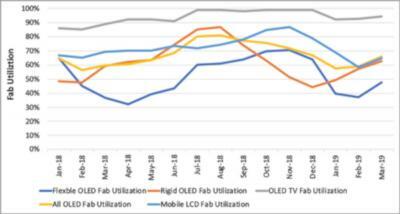 Glass input for all flexible OLED fabs will be down 3% from last year. 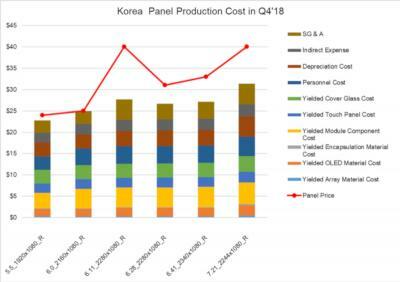 Rigid OLED utilization rates have been up in 2019 - from 44% in December 2018 to 49% in January 2019, and DSCC sees it continuing to climb in Q1 2019, as a result of increased adoption of rigid OLED by Chinese smartphone makers. 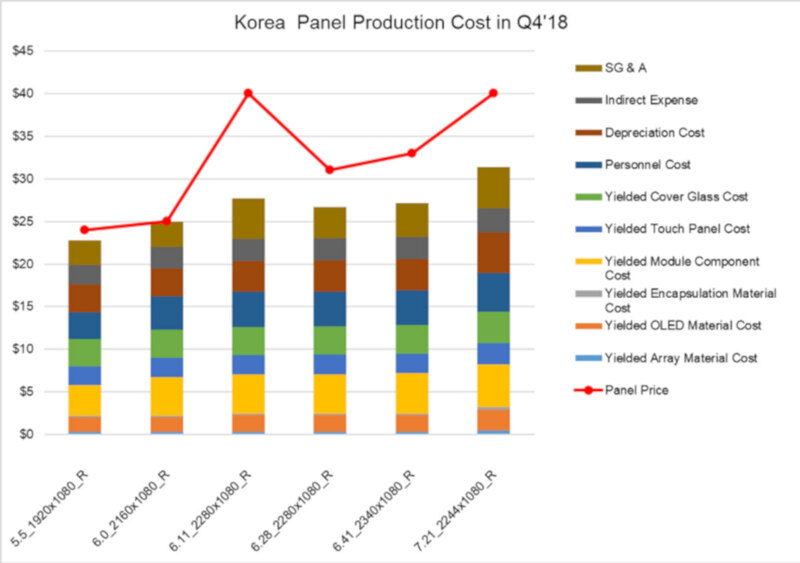 DSCC also details the production cost and panel price at SDC, for the large GS10+ 6.44" AMOLED display - and how it changed from Q1 2018 (with a forecast of up to Q4 2019).